I have always liked to write, but for a long time I felt like I had no motivation to do so. So one day I figured that since I loved playing WoW and was good at a Restoration Druid that I could write about it and made teach some people a few things. 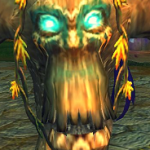 I know there are a ton of great and informative druid blogs out there, but I did not care. I wanted to tell people about what I thought about being a Druid and interact with everyone that knows more than I do too! I feel like I was late to the party with druid blogging, but I guess it is better late than never right? I know I am not number one, and would not claim to be, but writing about WoW is fun for me since it helps me tap into both of my interests: gaming and writing. I take pride in learning about my class, especially by reading a lot of the other blogs out there. I want to be good at what I do! I just hope that some people can take away a few things from this blog, even if it is just silly tips! ← Cooking for the Win!